This chapter features some great new artwork by Ishikawa, including a new two-page spread. He reorganized the beginning of this chapter, and I think it came out a lot better than the previous edition. In other news, namely Gekiman, I'm sad to say that I'll be unable to continue work on this series. I was able to do the first chapter, but circumstances are such that Project Bite Me! Scanlations will be continuing this series at a later date without Dyanmic Pro Scanlations. So, be sure to support them when its released! Here's a rough release of Gekiman Chapter 1 by Project Bite Me! and Dynamic Pro Scanlations. 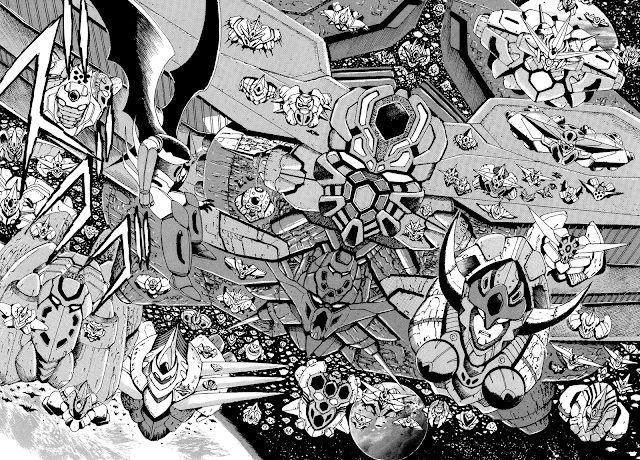 This concludes the First Contact story arc of Shin Getter Robo. First up, here's chapter 4 from Shin Getter Robo (Saga ver). 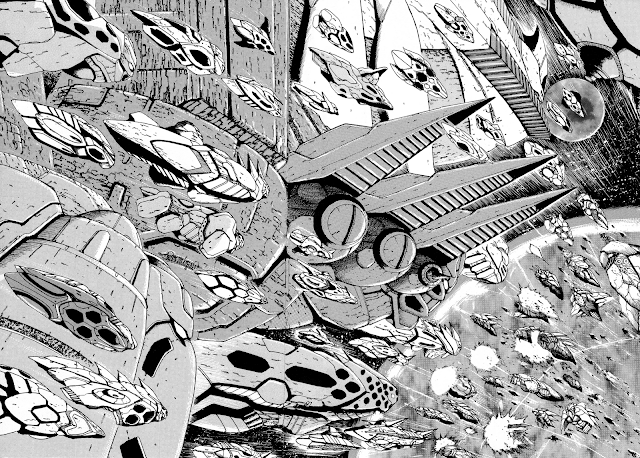 Sorry, still no Getter Robo G release. Apparently, Damage shall restart his translation efforts sometime next month. I apologize for the wait. 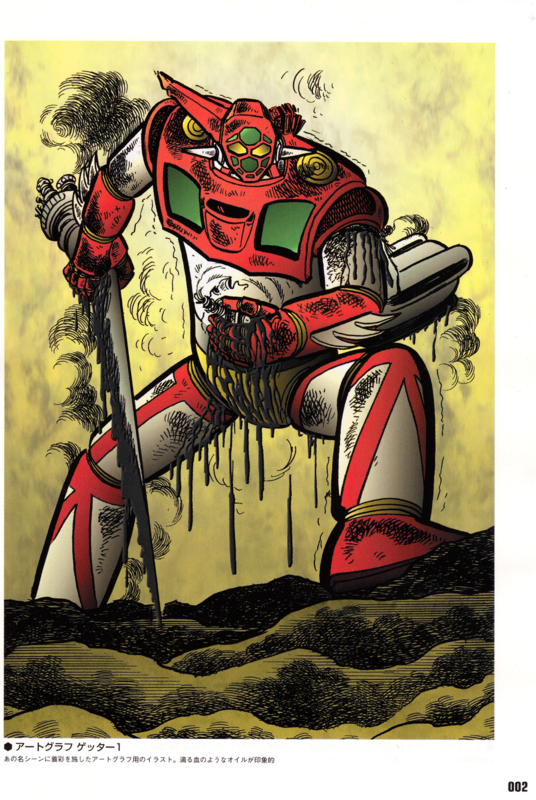 Great Mazinger shall be released when the entire volume is completed, as per the translator's instructions. Also, I'm looking for Japanese to English translators. I want to release more Dynamic Pro manga and speed up the translations of current projects. Working for free is a plus, but I'm also quite willing to pay. Get in contact with me if you are willing to translate or know someone who might be. I have many potential projects, ranging from very short to long. So if you're worried about devoting time, talk to me and we should be able to reach an arrangement that best works for you and your schedule. I'm happy to announce two new projects. First is Gekiman, which shall be done as a joint with Project Bite Me! Scanlations. They will be providing the scans and translation, while I typeset. So really, I'm just along for the ride. If you haven't done it already, go check out their work. 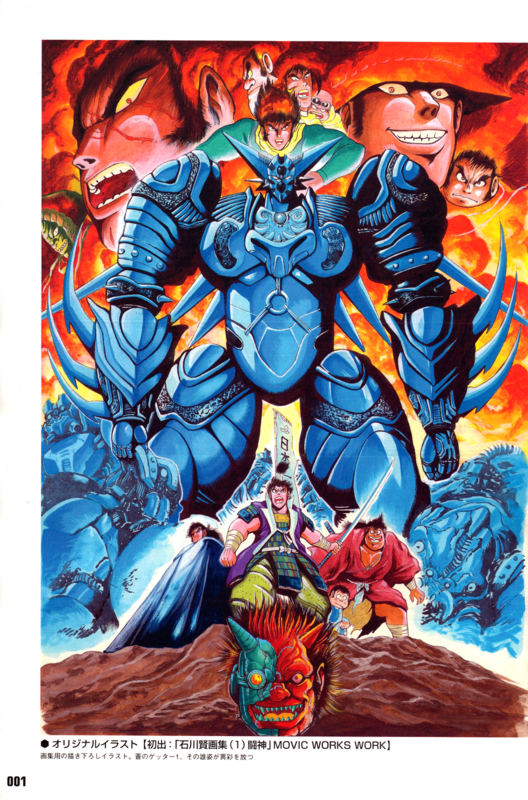 They're translating Violence Jack and Enma-kun, among other great manga. 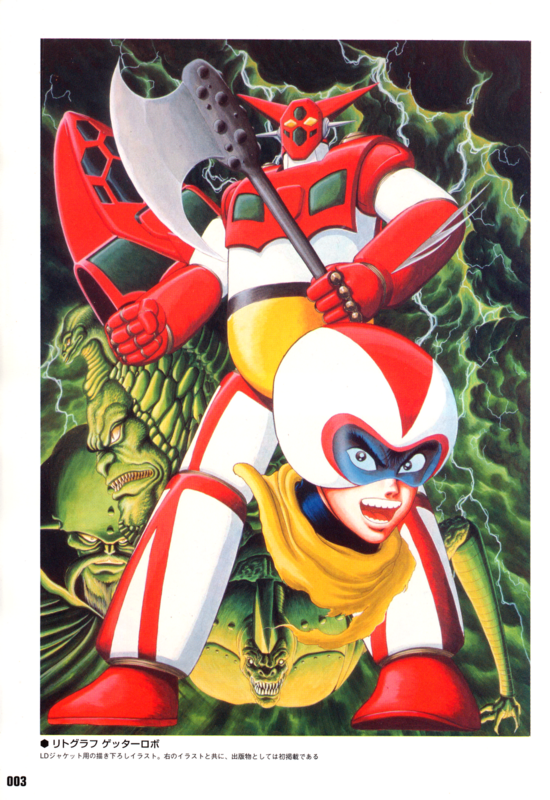 The other project is Getter Robo Bible. First, I just want to say that this will be an untranslated release. I bought the book a while back for personal enjoyment, and I've decided to scan it and release it as is due to fan demand. It's a very text heavy book, but there are tons of great pictures and concept sketches. If we're lucky, maybe it'll pique the interest of a translator (if so, contact me and I'll typeset). Probably not. But anyway, look forward to that!